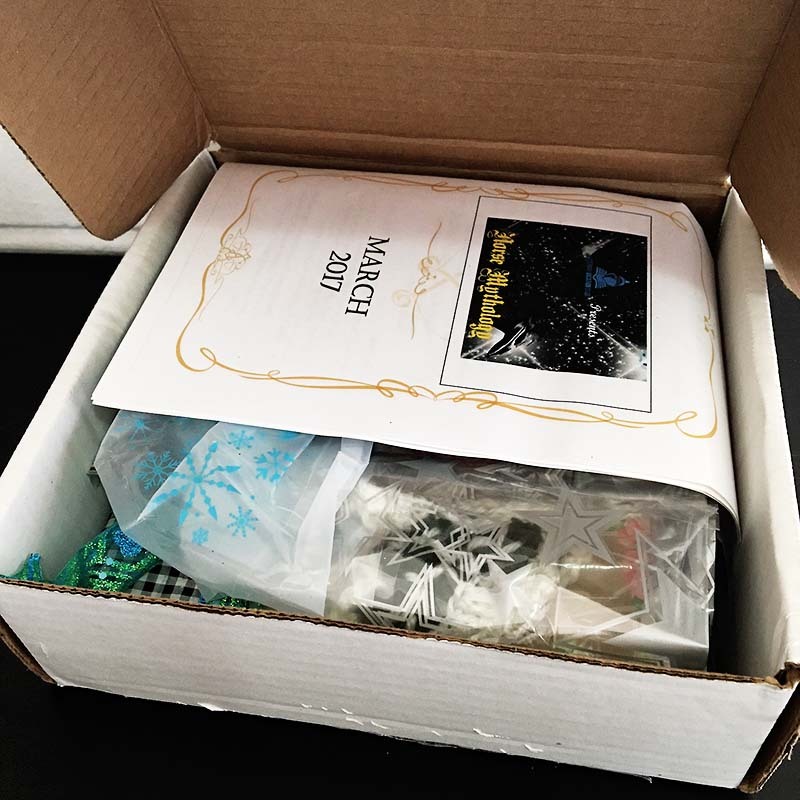 I wanted to share with you a review that The Box Reviewers did of my subscription box – Literary Vacation Club – for our March box! Our theme was Norse Mythology, and we sent each subscriber on a trip to Norway! If you are interested in subscribing to us, use the code “WELCOME10” for 10% off of our first box! June’s theme is “DESTINATION: Russia”! Literary Vacation Club is a book subscription service that sends you on a literary vacation every month! The Holiday: 1-2 indie novels in any genre (except for horror, poetry, and erotica), unique items that tantalize all 5 senses, and a bonus bookish goodie! The Weekender: 1 indie novel in any genre (except for horror, poetry, and erotica), items that tantalize your see and hear sense, and an item that tantalize the smell or touch sense. I want to start off that I apologize for the late review. This is a March box and we are now in mid-May. Let’s just say time is not my friend at the moment. First look: Literary Vacation Club always put a lot of thought and care into their packaging. Every month, it feels like I’m opening a lovely care package from a friend! 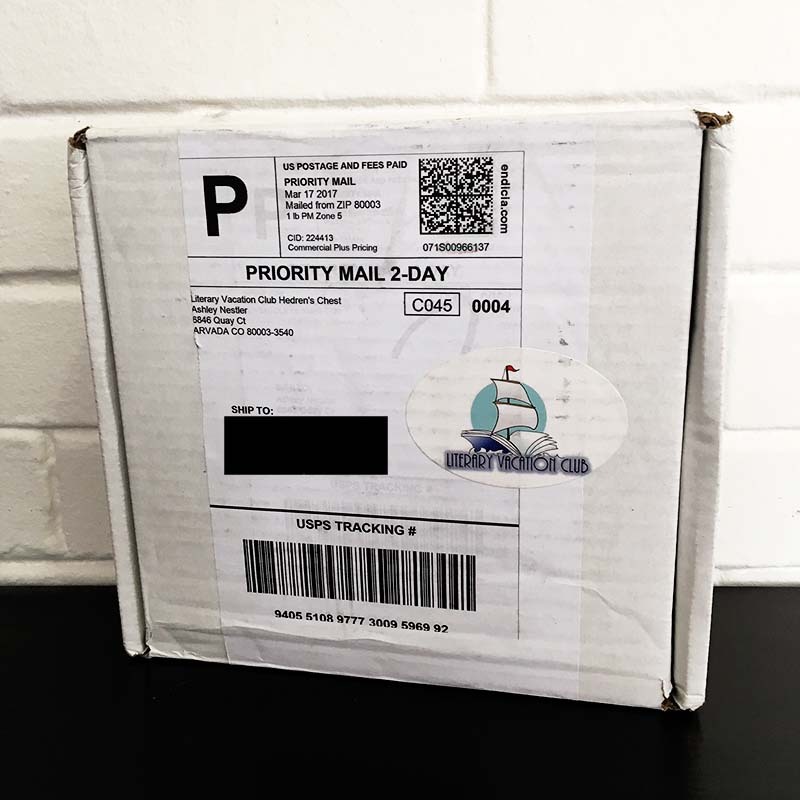 I was instantly greeted by the Literary Vacation Club pamphlet, which contains the packaging list, book questions that are available for discussion at their official facebook club, and a thank note from the owner of the company, Ashley Nestler. I also received a cute greeting card from the owner, saying “Happy Day!”. I love collecting cards so it’s always nice to receive a special, handwritten note! Literary Vacation Club stands out for me because of their five senses feature Each item appeals to one of the five senses: to See, Hear, Taste, Touch, or Smell. 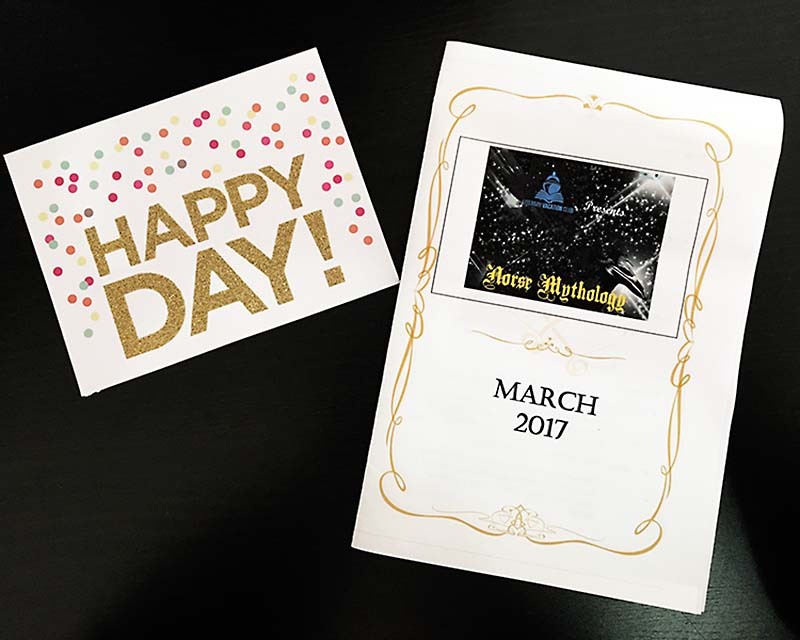 To See: We received multiple items this month! 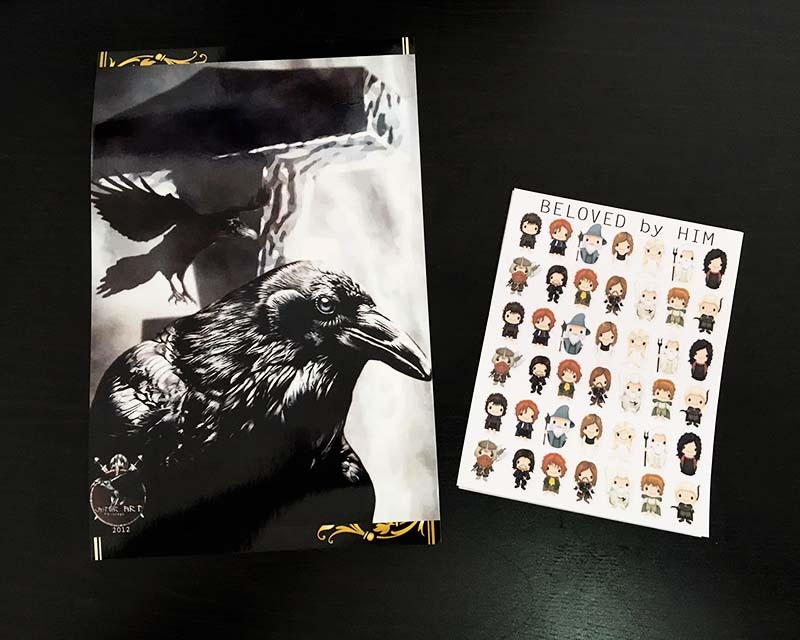 The first item is a raven print, which is connected to Odin, a God of War and Death. I love ravens so this was a delight for me! The second item is a sticker sheet of Lord of the Rings by Beloved by HIM. I love Lord of the Rings and I was happy to see this was included in the box since Tolkien’s influences were in Norse Mythology! 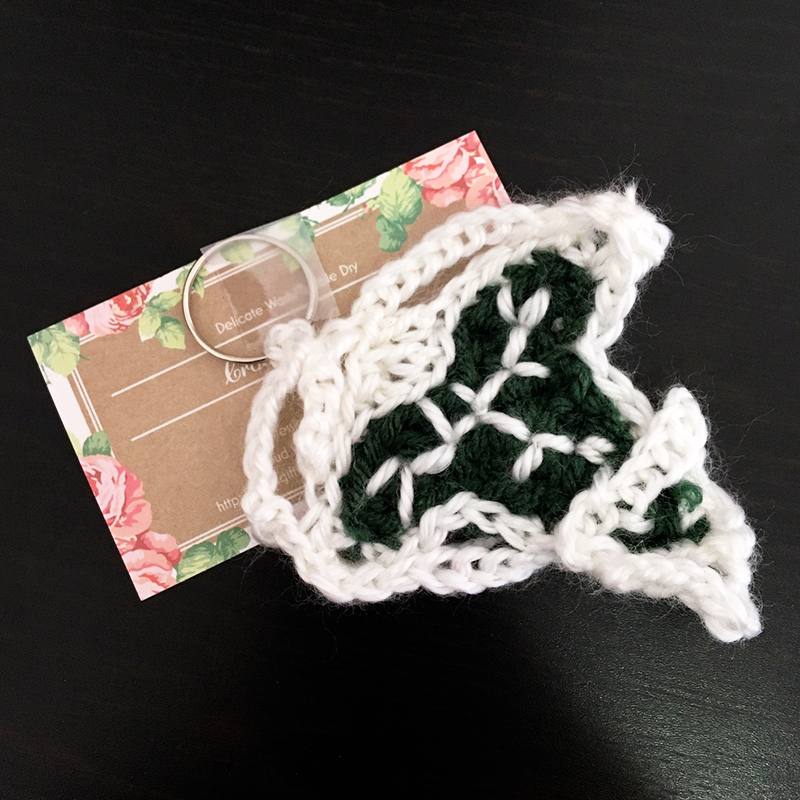 As a bonus, Holiday subscribers received a Thor magnetic bookmark by Kaelis Accessories and a Crocheted Lothlorien Leaf Badge by Crocheted Candy. 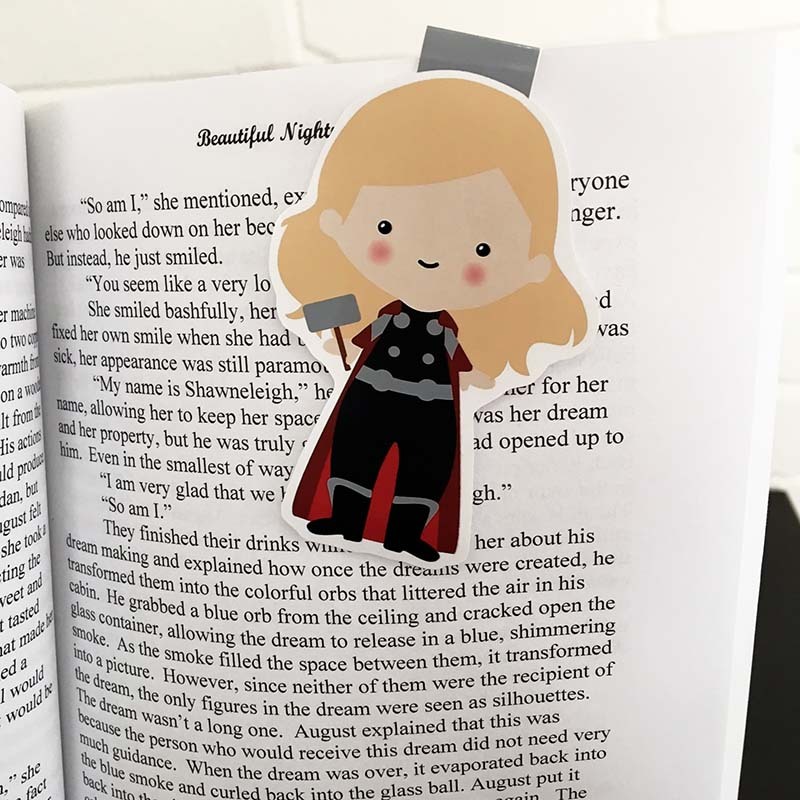 Magnetic bookmarks have become increasingly popular in book subscription boxes and I can see why! 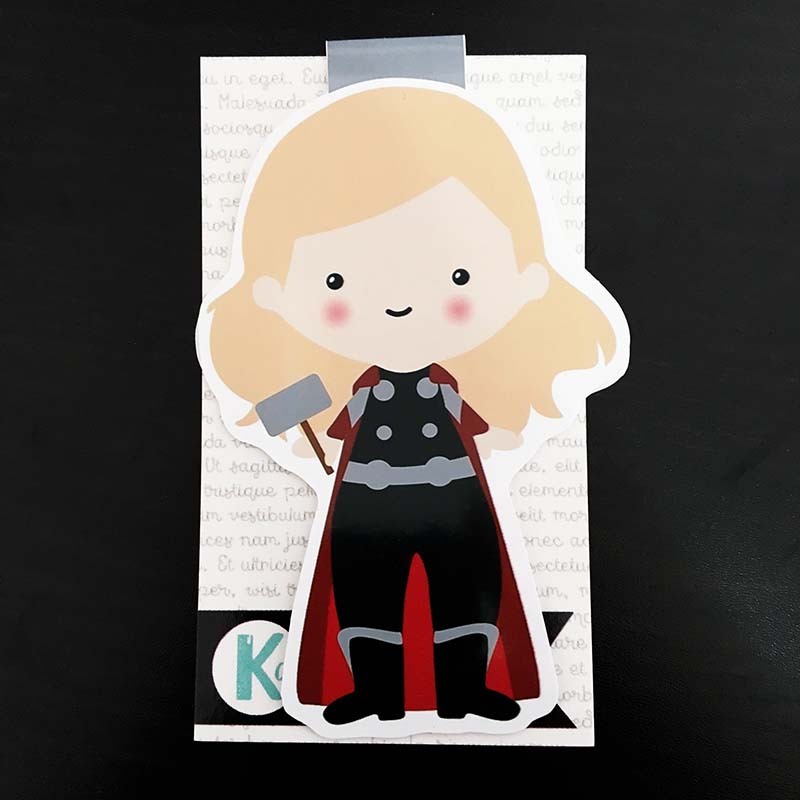 They are cute, functional, and you can never have too many bookmarks! The Lothlorien Leaf Badge is based on Lord of the Rings. It is a reference to the brooch that Galadriel had given to the members of the Fellowship of the Ring. To Hear: Members can access to a specific playlist on Spotify, curated to enhance your reading experience. This month, there are two playlists to go along with the featured novel! 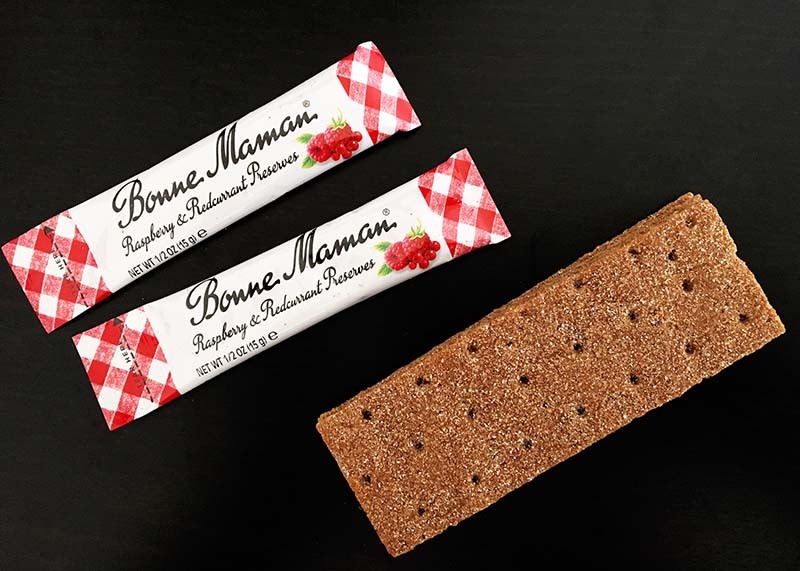 To Taste: We received four rye crackers and two raspberry and red currant preserves by Bonne Maman. This is only available to the Holiday plan. A Viking’s diet is mostly meats, vegetables, wild fruits and cereals such as barley and rye so, my guess is that in Norse, it’s safe to assume that their diet could be similar hence the rye crackers and preserves. I never had rye crackers before so it was curious to try it. After pairing it with the preserves, it took a couple of bites for me to decide that I liked it! 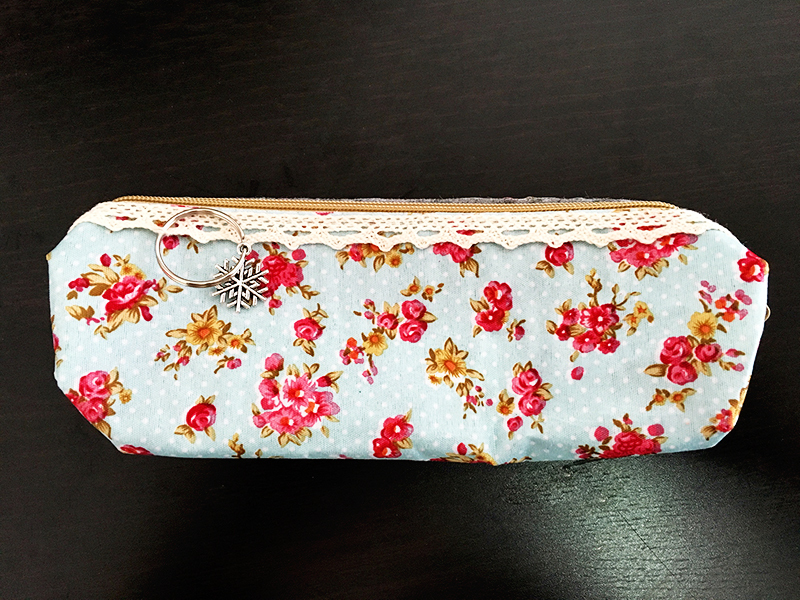 To Touch: We received a Floral Nordic Pencil Pouch with a snowflake charm. Flowers have a lot of meanings in the mythology. For instance, it is the return of spring after a long winter or even life and death. With the snowflake charm, the reference can link to the return of spring after winter. My mom loves flowers so I will be giving the pouch to her. To Smell: Included was the 12th Night wax by Antiquity & Illusion. At first, the scent is powerful! It is a strong scent of warm spices. However, after a while, the scent seems to tone down a little bit. 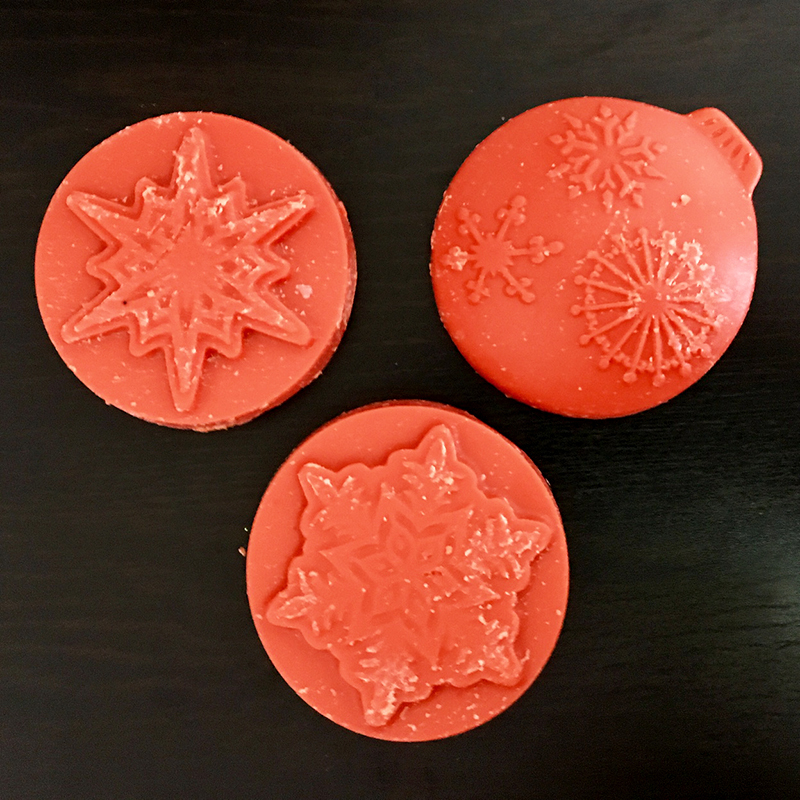 Since this was shipped out in the month of March, the weather can still be cold and snowy so the warm scent is wonderful for cold nights. Last but not least, the book choices! All plans received a young adult, urban fantasy novel, Elsker by S.T. Bende and Holiday subscribers also received a novella written by the same author, The Elsker Saga: Tur. “Inga Andersson is the envy of every girl in Asgard. On the surface she has it all — great friends, a job as Odin’s personal fight choreographer, and a happy ever after with her realm’s hottest assassin. But when evil invades Asgard, her perfect world comes crashing down. Someone is planning to kill off the gods, and Inga’s best friend Ull is first on their list. With the Norse apocalypse a nanosecond away, Inga has to decide how she’ll spend her final moments of freedom. Because from the moment this battle begins, Inga’s happily ever after will be nothing more than a memory. The author also included a signed bookmark and an Olaug’s Norsk Waffles recipe! The preserves that were included in the box would have been a perfect topping for this recipe! I just wished I didn’t finish it with the rye crackers! Final thoughts: This is my favorite theme from Literary Vacation Club! The items fit the Norse theme perfectly and I would have never discovered S.T. Bende or independent authors that Literary Vacation Club have worked with in the past. It is a wonderful subscription service that will take you on a reading vacation!